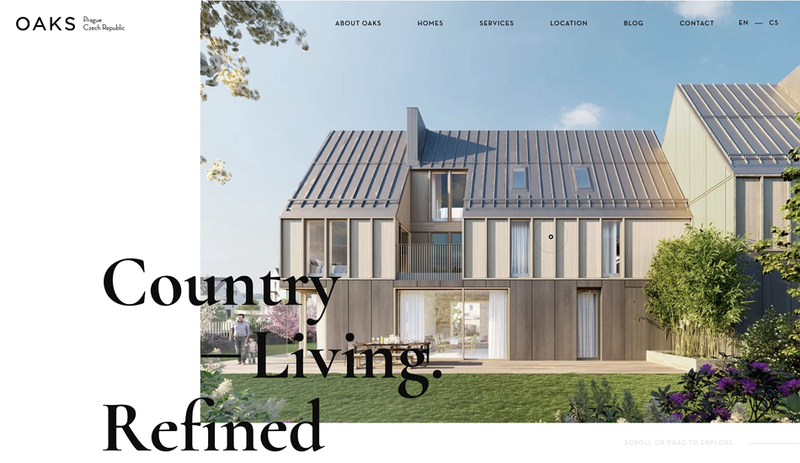 An outstanding real estate web design promotes the business and engages more customers,so we’ve listed 12 best real estate web designs and free web templates. The real estate industry is booming at an impressive rate. With the competition being so fierce, having an excellent website is critical to a real estate company’s or agency’s success. An outstanding real estate web design promotes the business and engages more customers, both potential and existing. 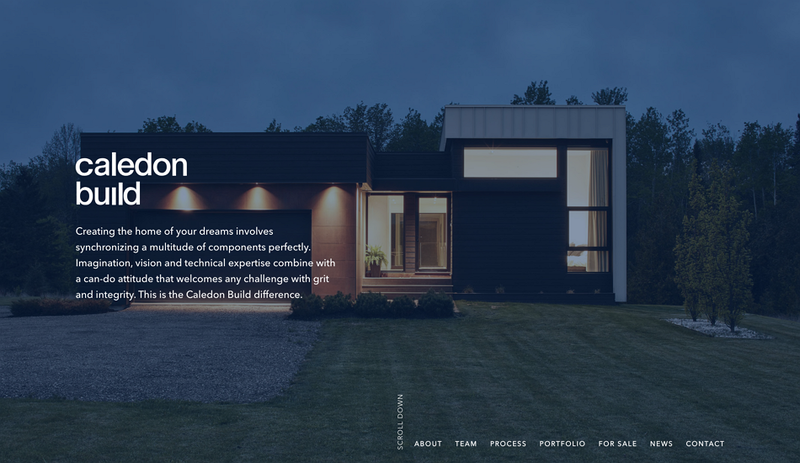 To that end, we’ve compiled a gallery of free templates and the best real estate web designs for 2018. These will inspire and enable you to design a fabulous website in no time. 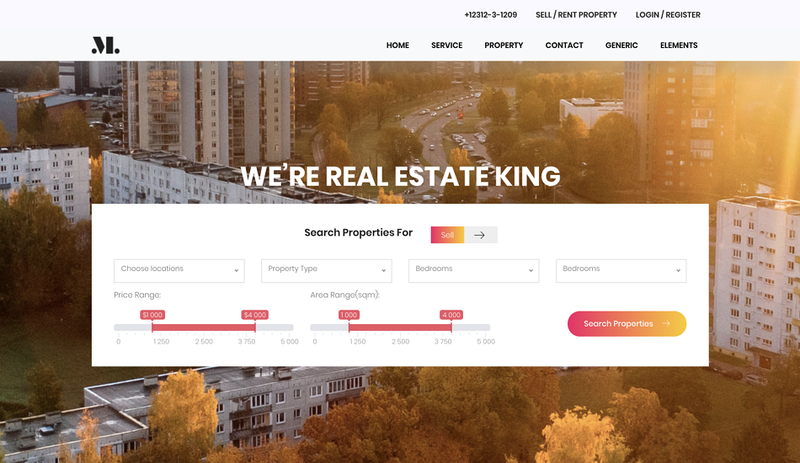 Below is a selection of excellent real estate website design/templates, which provide clients with an impressive visual and user experience. Let’s dive right in. Charbonnel Towns is an amazing real estate web design example of how to use a mix of modern and classical themes to provide visitors with an elegant visual experience. The site is designed to help clients easily find a relaxed and modern living space. 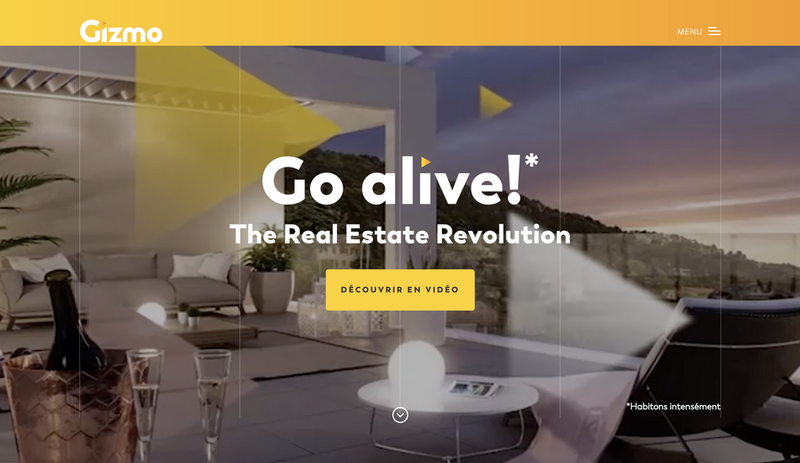 Featuring a dynamic homepage video that clearly displays the structure and details of the luxury real estate sector, the site also showcases plush architectural elements with traditional colors and fonts. 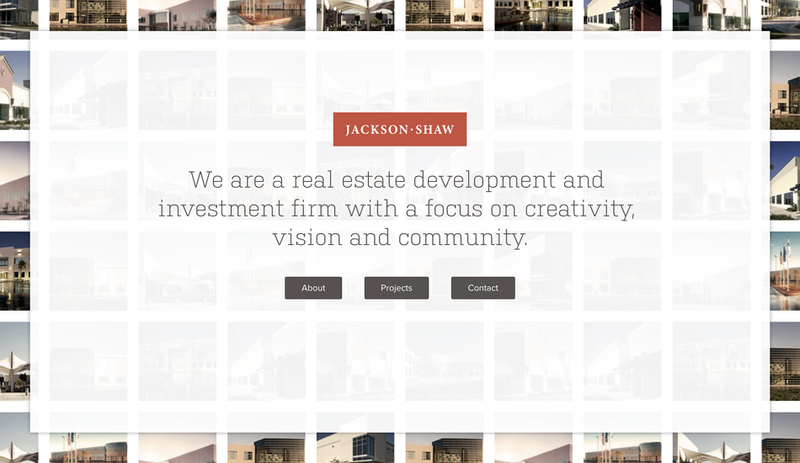 Jacksonshaw is a real estate development and investment company. Their site utilizes simple real estate web design, which is focused on providing a creative and comfortable community experience for customers. It also supplies clients a diverse selection of products and services. Gizmo.immo is a service dedicated to real estate developers and all housing professionals. They pride themselves in providing incredible service at a low price. 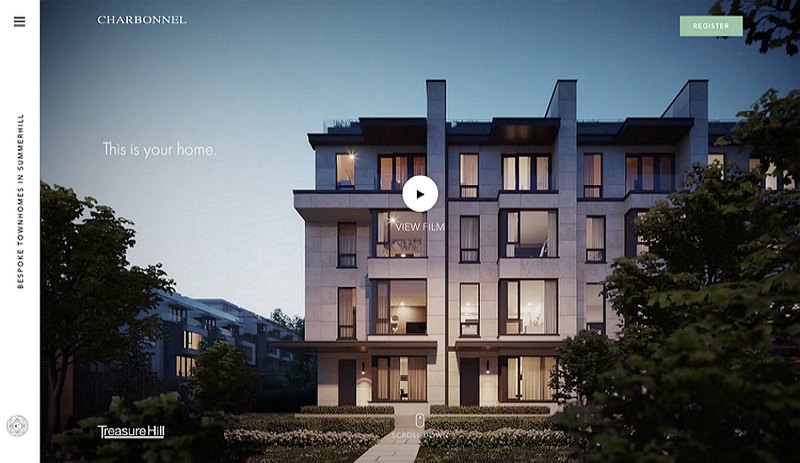 This real estate web design incorporates powerful and cool interactive and animation effects. This site is designed beautifully, making it stand out from the competition. 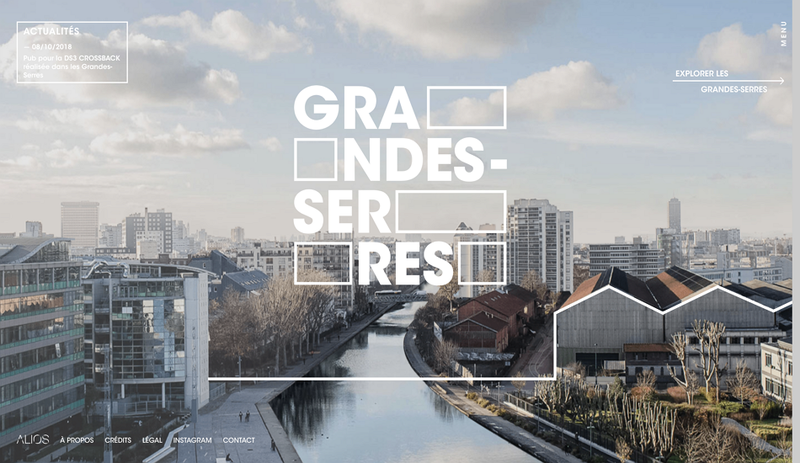 Les Grandes Serres is a new real estate program bordering the Ourcq canal in Greater Paris. Full-screen background images and a polished design with fascinating interaction and animation effects offer customers a vivid visual experience. Beautiful, modern, stylish, luxurious, and creative. That’s what this real estate web design is all about. 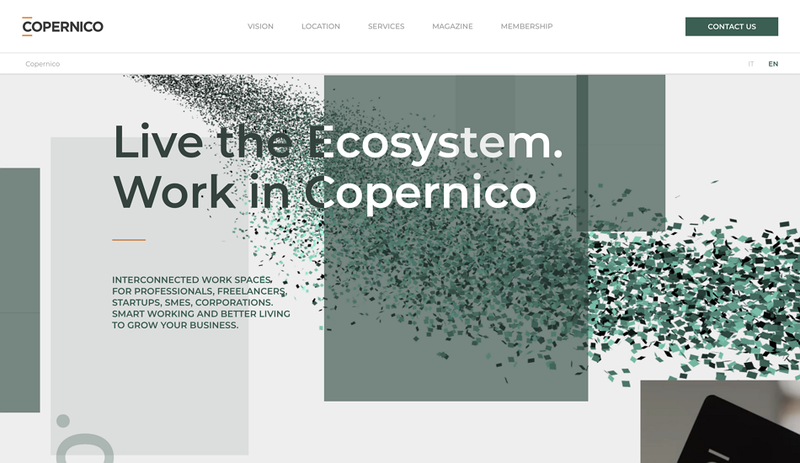 Copernico is an interconnected system of offices, spaces, and resources intended to expand the horizons of any business. The homepage shows the office environment clearly in the form of pictures and animations, with relevant text descriptions and introductions. This which conveys a sense of nature and environmental friendliness. 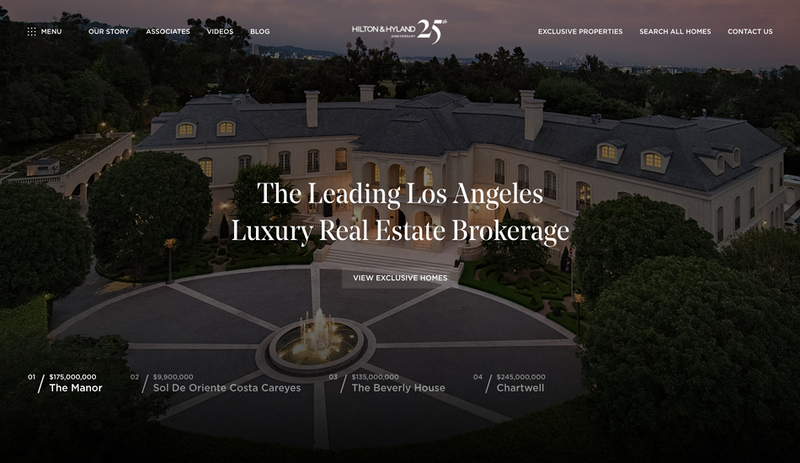 Hilton & Hyland is a leading real estate web design agency in Los Angeles, focusing on both residential and commercial real estate in the luxury space. It is an excellent example of a luxury real estate website that embodies clean and sophisticated design. Featured listings are presented in a stunning way, as beautiful high-res images provide impressive previews of each house and its details. 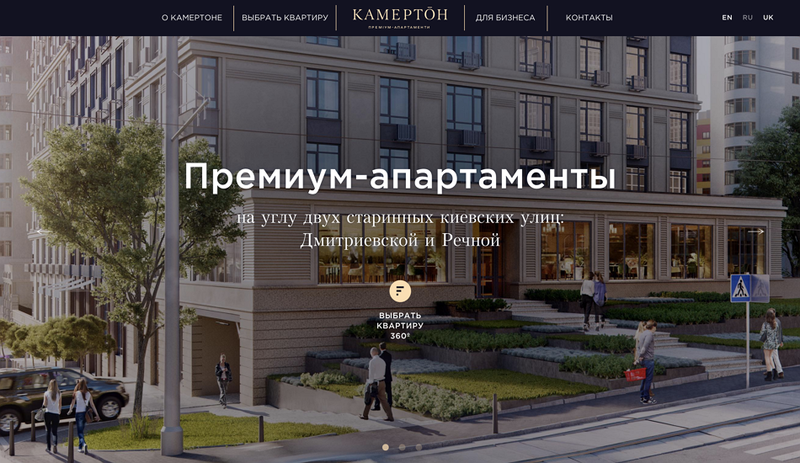 Kamerton Premium Apartments is a Ukrainian real estate company, which creates a tactile experience with 3D animation through collaboration with architects. It allows clients to view the room from a full angle (including housing location and area). Even better, they can enjoy the view from the rooms. The website has a dark background with classic and sophisticated elements. This site’s designers use the fastest video loading technology with the most advanced graphics to create dazzlingly effective real estate website design. OAKS is a residential real estate web design which highlights a sophisticated, sustainable, and smart environment in the midst of nature. Caledon Build is a project management and construction company specializing in new residential builds and major renovations. It has a simple design style that evokes a feeling of modernity coupled with sophistication. Just as excellent architectural design is borne out of the creative minds of outstanding designers, high-quality real estate website design also depend on extraordinarily creative web designers. In order to deliver the desired results, web designers should take advantage of a good prototyping tool. One such example is mobile and web prototyping tool Mockplus. It enables designers to create interactions in minutes with simple drag-and-drop actions. It is a powerful and rapid prototyping tool that helps designers - techies and non-techies alike - to create interactive prototypes in a smart and efficient way, helping web designers, UX/UI designers, software engineers, and product managers of any level to visualize their ideas much faster and more easily. Mockplus also provides multiple real estate web design examples and free templates. Real Estate website design is a visual delight. Although it is a simple one-page template, it covers all the functional parts of a professional real estate website. The homepage is long enough to add your website content and elements, and it makes easy for you to display all the details and images of your property clearly. 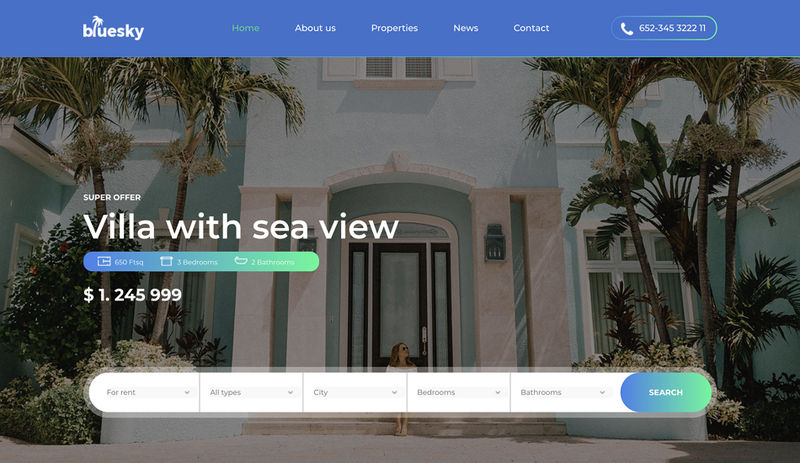 Haus is a free real estate HTML5 Bootstrap template suitable for real estate agents and companies. It contains property listings, search forms, and Google Maps, together with smooth animation.. The clean and sophisticated design makes the template more appealing and user-friendly. 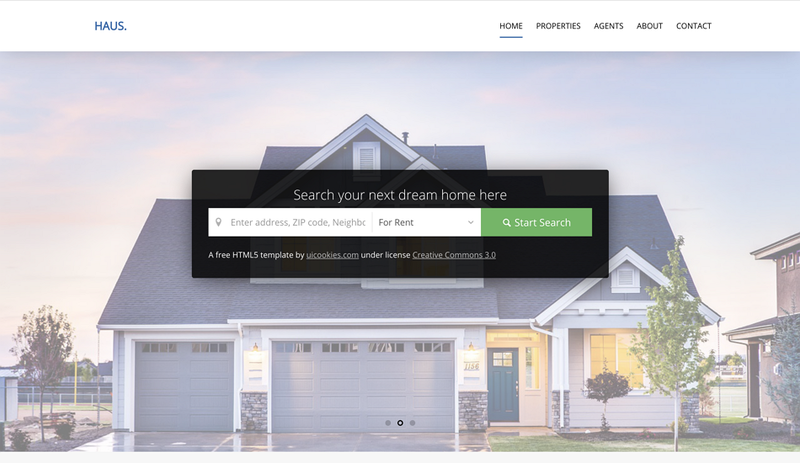 Bluesky is a free modern real estate website template with a homepage that provides a full-featured banner with an advanced search option. This allows the user to find their desired apartment or house quickly. In addition, Bluesky also comes with a sticky navigation, contact form section, Google Maps, email subscription form, and blog. This high level of customization enables you to add website elements easily, according to your requirements. There you have it - 12 free real estate web design examples and templates, which should trigger your creative juices. We hope that you’ll find this collection useful for your real estate websites projects.